One summer, during college, I went jogging each and every night with my frat brother, Brad, and whenever I did I wore the same pair of socks. I never bothered to wash them because I only wore them for jogged and… Well, at the time, that logic made more sense than it does now trying to rationalize it. Anyway, I didn’t bother washing them. After several weeks, Brad was in my room watching late night reruns of Star Trek when he complained about something smelling really bad. We figured out it was my jogging socks. So, we had to decide what to do with them. Down the hall was a room with an air conditioner where four of our frat brothers slept. It was early August and hot as hell. So the A/C ran constantly. Brad and I didn’t enjoy such luxurious accommodations, having to make due with window fans. “What did you do with them?” I asked, as I struggled to stifle a chuckle. A couple of weeks later, when everyone returned to the frat for fall semester and both stairwell were opened for the semester, the atmosphere in that particular stairwell was still ripe. One of my other frat brothers, an ex-Marine name Greg, decided to put on his gas mask and chemical gloves and put the socks in a black garbage bag. Then he and I carried the hazardous material over to the frat house next door and buried the bag in the woods behind. Of course, except for Brad, I never let any of my frat bros know that I was the one they referred to as Stinkfoot, the source of the legendary socks. 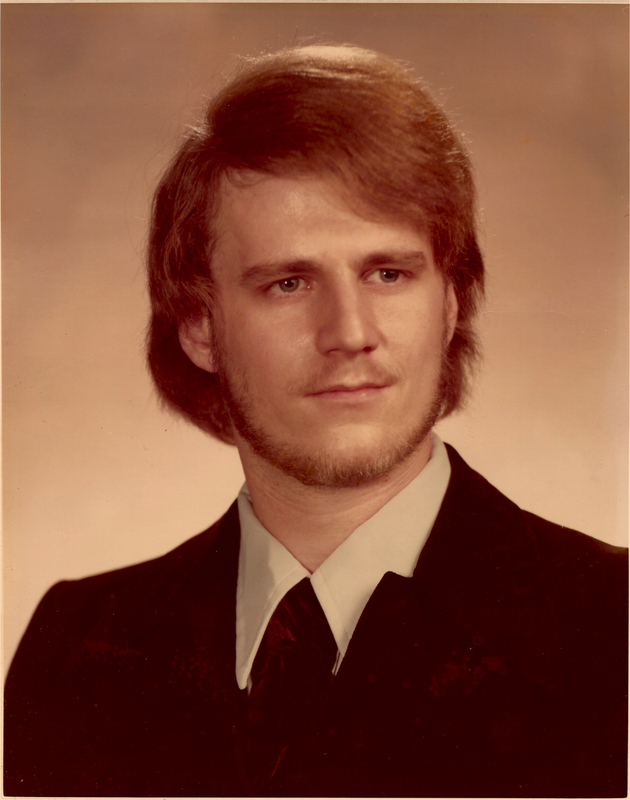 Me during my college years, circa 1977. This story really made me chuckle. I can really see you doing something like that.